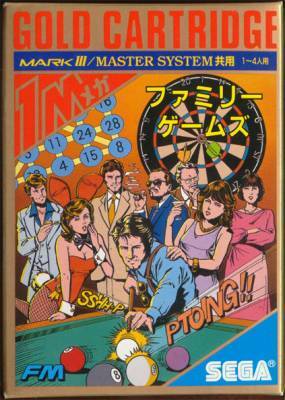 Parlour Games / Family Games (ファミリー・ゲームズ) / Party Games - Games - SMS Power! 47 CVG magazine "Complete Guide to Sega"
You've heard about the good old days when families gathered together to play their favorite games. 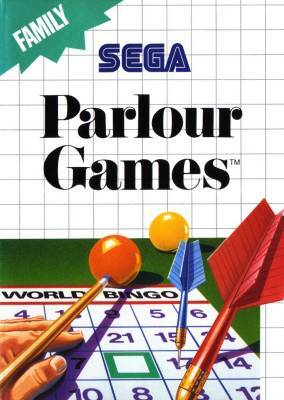 Now, Sega brings the fun back home with PARLOUR GAMES. It's three family games in one! Choose from the exciting challenges and action of billiards, darts or world bingo! Up to four people can play against each other or the computer. 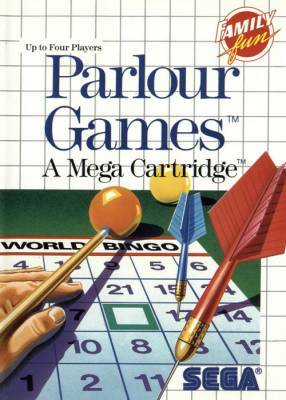 PARLOUR GAMES are a test of strategy and skill, with four variations to increase the challenge and fun! 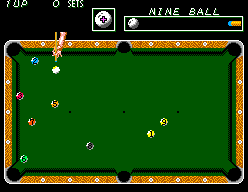 In billiards choose eight-ball or rotation. Play the dart games 301 or 501...and choose the weight of your darts. 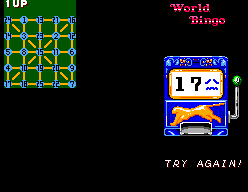 Or test your luck in a high-stakes game of world bingo. So get the popcorn ready and gather around your Sega System™. But watch out. because your little sister has become a pool shark...and mom is an expert at darts! 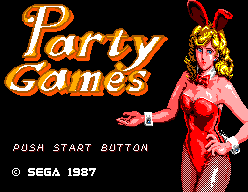 There is a development page for Parlour Games / Family Games (ファミリー・ゲームズ) / Party Games. Visit it to see technical discussion of this game.